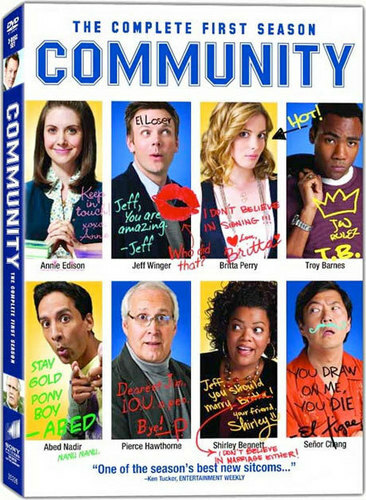 Community Season 1 DVD. . Wallpaper and background images in the Community club tagged: community nbc season 1 2009 photos official dvd merchandise. Right? hah I love that it's all yearbook-y.